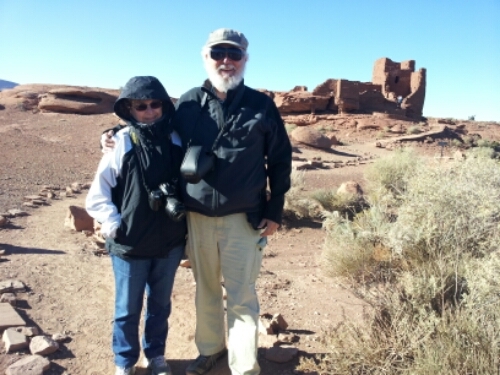 Today we visited our friend Cathy and went to Wupatki National Monument. 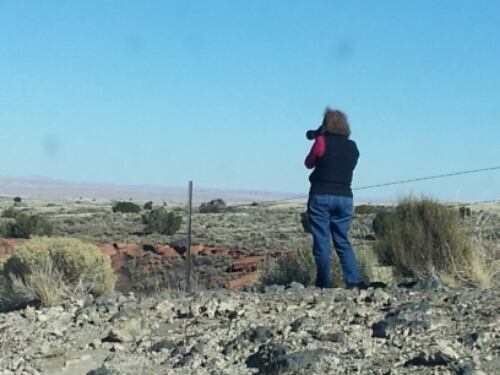 Cathy’s all-terrain walker enabled her to see some of the sights of this unique ancient pueblo site. 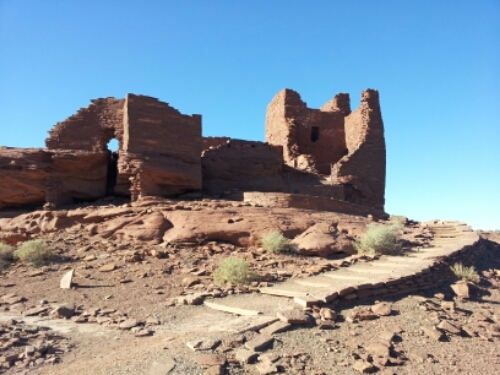 While cool, the sunshine made it great weather for a leisurely afternoon exploring the ruins. Judging only from the pix of you two, I gather that it is not always in the 90s in Arizona. 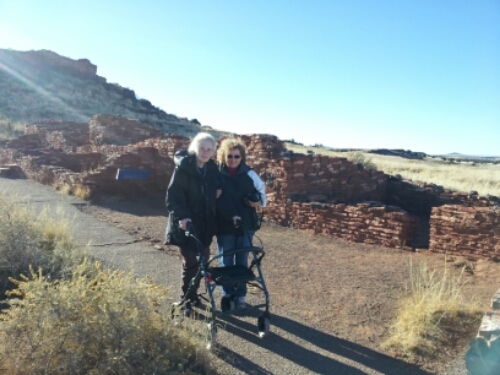 As a recent user of a walker (that was a tool I had at the hospital when I experienced my last little bout with gout), I was most intrigued by your friend’s all-terrain walker; it seemed pretty cool for people who might have mobility problems. I do not see you in a hurry to return to the great wetness of the upper left corner, or am I wrong?